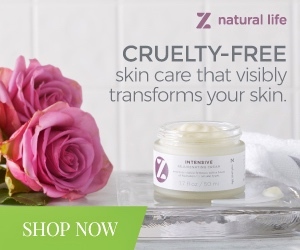 Get an in-depth look at what inspires the experts, formulators, retailers, trendsetters + trailblazers behind our cult-favorite, natural beauty brands! Meet Stephanie Greenwood, the mastermind behind Bubble & Bee Organic – one of the only personal care manufacturing companies to have achieved USDA organic certification. 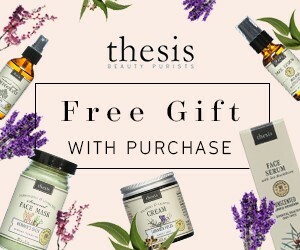 They offer a wide range of products, from widely popular certified organic deodorant – Pit Putty, to organic face creams, lip balms, body butters + even insect repellent. 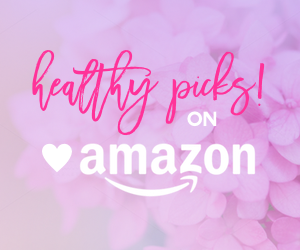 After my struggle with estrogen dominance and a diagnosis of adenomyosis, I wanted to find products that were free from estrogen-mimicking chemicals. After a fruitless search at the health foods stores, I started making my own products for myself. My friends and family caught wind of my creations and encouraged me to sell them at the local farmer’s market. I teamed up with my partner Steve who created our graphics and branding, and we launched the brand. A year later we were in the Rocky Mountain region of Whole Foods and had started a bustling website. Now, nearly six years later we’re in many stores nationwide and have an ever-growing and loyal online following. How did you first learn about toxic ingredients in beauty products? When I was first diagnosed with adenomyosis I was told I had two options: either have a baby or a hysterectomy. Neither of them were an option for me. I wanted to find out the reason behind the problem instead of just treating it with drugs or surgery. That’s when I learned about John R. Lee’s book about estrogen dominance, and started reading about these chemicals in every day products that could be contributing to my problem. Did you have any formal training, or is there some you wish you had to be able to do what you do? I’ve always had a love for chemistry and biology. In 8th grade I earned a summer internship that turned in to a yearly job at the Biology department at the University of Utah. In high school, in addition to my advanced placement classes, I took Chemistry up at the U on the weekends, and then, in the summer of my junior year took an upper-division course. I love chemistry but realized that I was too creative to work in a lab for the rest of my life. So, when I fully matriculated at the U I earned my degree in English. Now I have the job of my dreams: writing about chemicals! I love research and am always continuing my learning about the chemistry of skin, hair, and health. How did you create your first product + bring it to market? 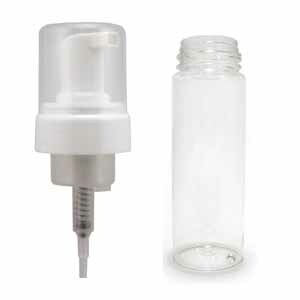 The first product that I made was our deodorant, the Truly Herbal Stick. I researched different essential oils and their deodorizing properties, and figured out a base in which to put it. 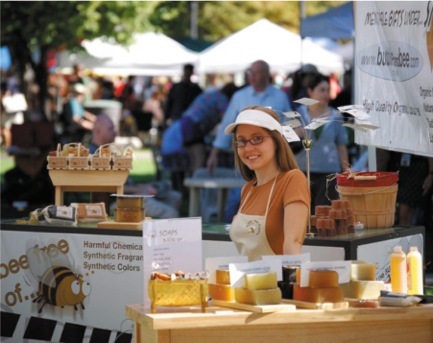 We launched a full line of products, including soaps, lotion bars, lip balms, and shower gels at the Farmer’s Market, but the deodorant was always our top-seller. How did you choose the ingredients for your line? We’ve always kept things simple and beneficial. Beeswax. Cocoa butter. Coconut oil. Essential oils. We knew that there were people out there like me who were just trying to avoid chemicals that could interfere with hormones or lead to other problems. So, I really formulated everything with simple, easy-to-understand ingredients that have been tried and tested for hundreds of years. 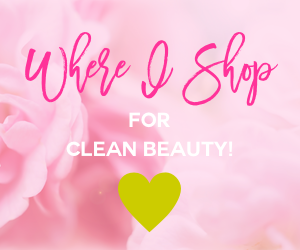 What’s your favorite product from your line + why? 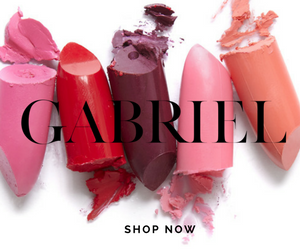 Well, if we’re going off of what I use the most, it would be our lip balms—I don’t go anywhere without one. Or, by best-selling and most creative, it would be our Pit Putty. But, probably my favorite product would be our face cream. I spend a lot of time outdoors in some pretty harsh conditions. I love that I can come home, wash my face and put on our face cream after a long day and my face just glows. It’s good to know I’m treating my skin right after all I put it through. 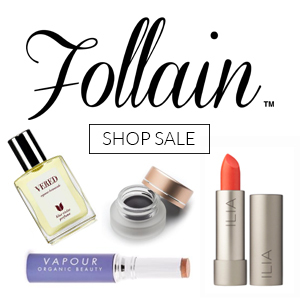 What’s the toughest part about creating your own brand in the natural beauty industry? I’d say one of the challenges we’re up against are the greenwashing brands that say they’re “organic” but contain cheap chemicals and non-organic ingredients. It’s not a level playing field when companies outright lie about being organic and offer cheaper prices because they don’t have the cost of more expensive ingredients and certification. What’s makes it all worth it? 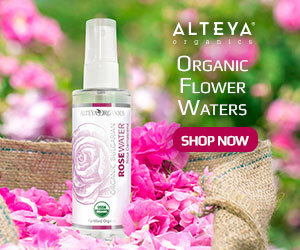 I get e-mails every day now thanking me for offering products that are truly organic and trustworthy, and for the information that we put out on our blogs exposing the dangers of chemicals hidden ingredients. If stranded on a desert island, what 3 natural beauty products would you bring? Bubble & Bee lip balm for sure! Our lotion sticks, and probably our Cool Cucumber Cleanser to cool and cleanse my sun-parched skin! 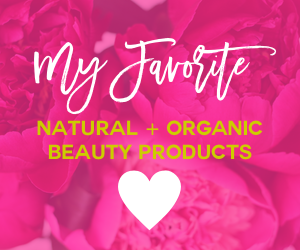 What are 3 favorite natural beauty products or brands you use + love, other than your own brand? You’re an inspiration to The GG – who inspires you in the natural beauty industry? I’m actually the most inspired by our customers. 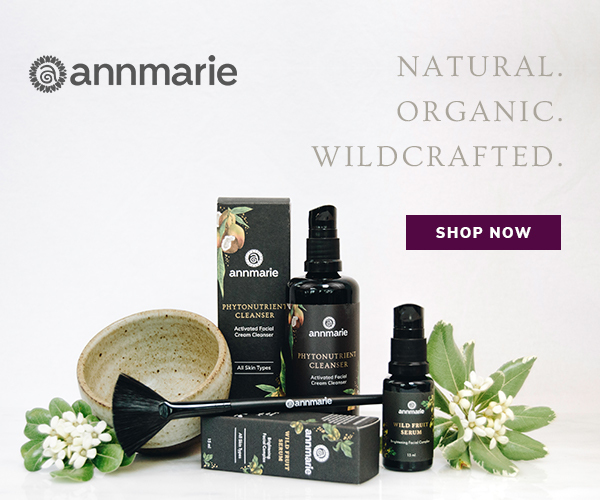 I know that’s probably not the answer you’re looking for, but I see how much people want truly certified organic products and their dedication to bringing safe products to their families. I talk to people who have been diagnosed with all kinds of health problems, from estrogen dominance to cancer to thyroid issues, who are all survivors who have turned their health around by making changes in their lifestyles. That’s what’s truly inspirational to me. The industry is nothing without customers. What actionable advice would you give someone who wants to break into the natural beauty biz + follow in your footsteps? Don’t just cut-and-paste from other websites, do your own research. Don’t pattern yourself after someone else’s formulations; make your own unique creations. Know what you’re talking about, research everything that goes in your products, and offer superior customer service. 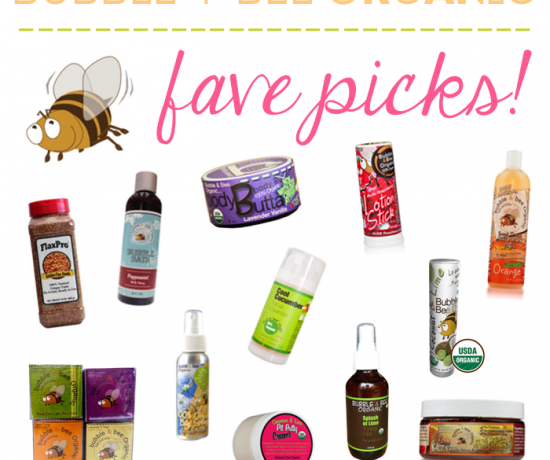 What’s next for Bubble + Bee Organic? To keep up with Stephanie, visit Bubble + Bee Organic or learn about ingredients on Chemical of the Day. FYI | Is your Shower Curtain Killing You?